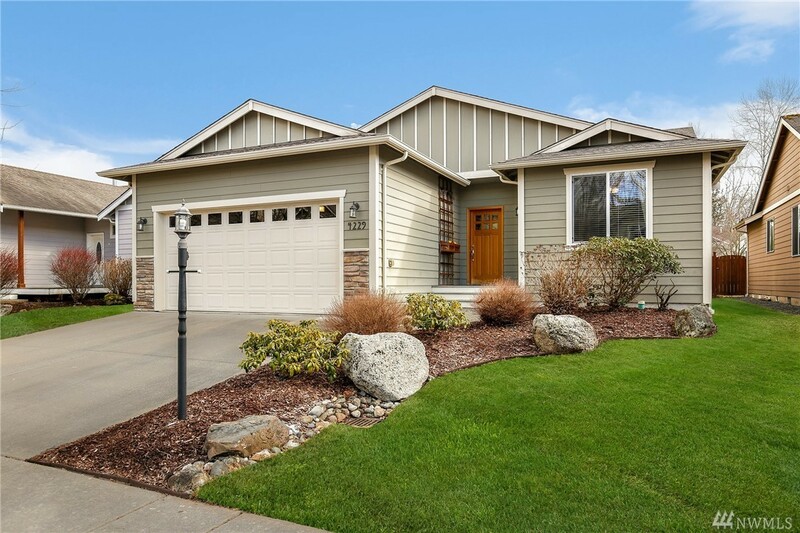 1,605 sq ft; lot: 5663 sq ft - MLS# 1422754 Courtesy of Redfin Corp.
Impeccably maintained 3 bedroom rambler w/high end finishes throughout. Spacious living room w/cozy FP. Chef's kitchen w/granite counters, tiled backsplash, stainless appliances & abundant storage/work space. Master w/walk-in closet & sumptuous 5 piece BA w/jetted tub. Fully fenced yard w/deck plus patio & plenty of room to relax, garden & play. Ideal location close to shopping, WCC, hospital & I-5. Hi-tech cabling, wiring for home theater, motion sensor lights, A/C, extensive hardwoods & more!